Microplastics are small by definition, but they’re a big problem for our environment, where they endanger marine life, pollute soil, and cause health problems for humans. On Wednesday, the European Chemicals Agency (ECHA) proposed new legislation that would ban 90 percent of the microplastics used in Europe — and if adopted by the European Union, the ban could dramatically decrease the amount of plastic that reaches the environment. According to the ECHA, Europe releases almost 40,000 tons of microplastics — tiny plastic particles, typically less than 5 millimeters in diameter — into the environment each year via everything from cosmetics and detergents to paints and fertilizers. For perspective, that’s equivalent to six Great Pacific Garbage Patches. ECHA proposes banning about 90 percent of these microplastics, specifically, the ones that manufacturers add not because they are necessary, but because they’ll increase profits or are more convenient than alternative options. 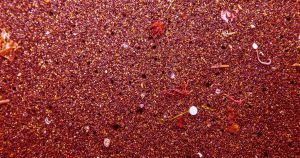 If the EU adopts this microplastics ban, the quantity of the particles entering the environment over the next two decades would decrease by 440,000 tons. Unfortunately, this won’t be a quick fix. According to The Guardian, ECHA’s scientific committee will spend the next 15 months reviewing the microplastics ban and crafting an opinion to send to the European Commission, the EU’s executive arm. The Commission will then have three months to consider the opinion and prepare legislation. After that, it could be another eight months before any restrictions on the use of microplastics go into effect. Still, it’s encouraging to know that a plan to address one of the pollutants destroying our planet is at least in the works.